Have you heard? 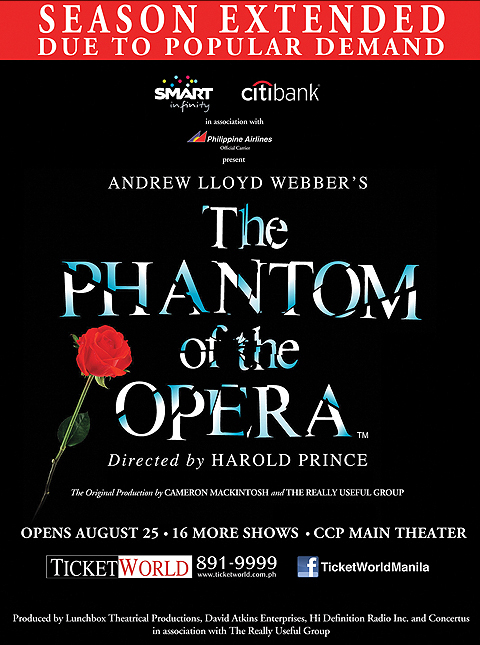 The Phantom of the Opera is finally coming to Manila! Oh yes I am pretty excited, but will not be able to watch it myself anymore. Finances got in the way. But I have been very lucky to watch it five years ago when they staged it in the Esplanade Theatres in Singapore, by the British production (oh yes, I got to watch it before everyone else in Manila did!). Incidentally it was just a few weeks after the most recent Phantom of the Opera movie was shown in cinemas. I was able to watch the movie prior to the stage production. I may say the movie was wonderfully made… but the stage production was way beyond the beauty on screen. I will not do spoilers here. You may think there can’t be anymore spoilers because everyone knows the story from the movie. But I may say, they were able to do some amazing things on stage that were way beyond my imagination, a lot of effects that were better on stage than on screen. Miss Saigon – I was able to watch this way back in high school, with Lea Salonga still playing. Would be good to bring this back, even with someone other than Lea Salonga. I loooooove Gigi’s role by the way, it’s my dream role if ever I get to be part of a production. Wicked – This is the one I watched most recently, just last April in Singapore, and it was really worth it. Next to Normal – I have not been able to watch it yet, and I’ve heard a lot of good feedback about it. I’m hoping to catch it the next time it shows. Bringing tons of tissue as advised. I drive everyday to and from work, and it takes me between 1 to 2 hours each trip, depending on the traffic. All those times, I have my music to keep me company. Music plays such a big role in my life, more than just a way to pass time. There is something about music that can outwardly sing the song of my soul most times. There is something about music that is very therapeutic. Most people my age may think me strange, though, if they hear the music I listen to. I have the music sense of an old soul. It’s as if my musical soul is twice my age. I listen to some really old songs, standards, contemporary jazz, classical, instrumental, samba and bossa, among others. I like a wide range of music, which include some current music and pop. I like a number of British bands and artists. Old OPM music are nice too. I’m lucky to have some good local radio stations that play my type of music. 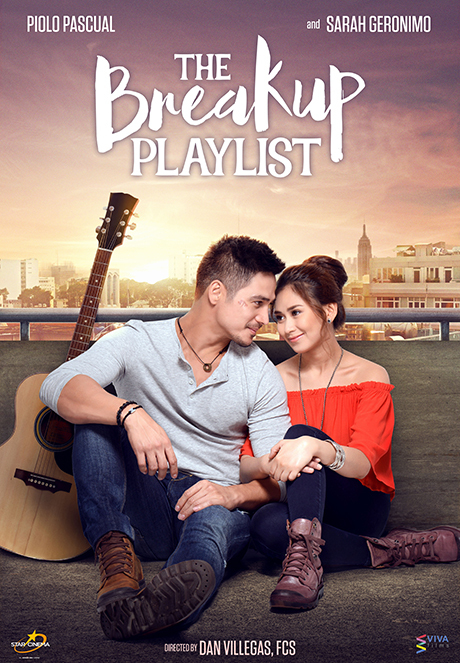 Crossover 105.1, Radio High 105.9, and W-Rock 96.3 are some favorites (all FM radio in Manila, Philippines). I get to discover a lot of the British artists from my sister who also likes looking for good, non-pop music. You can also check out my music player and find out my vast collection. There have been a number of international artists and bands who came and had concerts here, but I don’t usually spend to watch the current popular ones. The concerts I have watched include Rick Astley, Manhattan Transfer, Basia, and Don McLean. I did want to watch Kylie Minogue too, but I wasn’t able to.